as although its been quiet for a bit – we’re well rested and ready to stitch 2011. 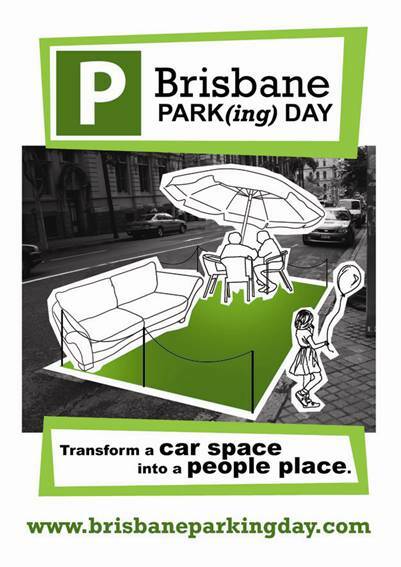 Brisbane PARKing Day Today ! 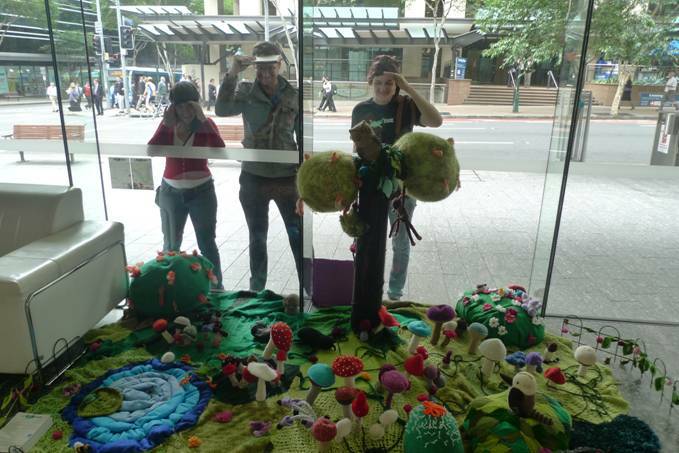 Come on down to Charlotte St near George st in the CBD today from about 11:30am. 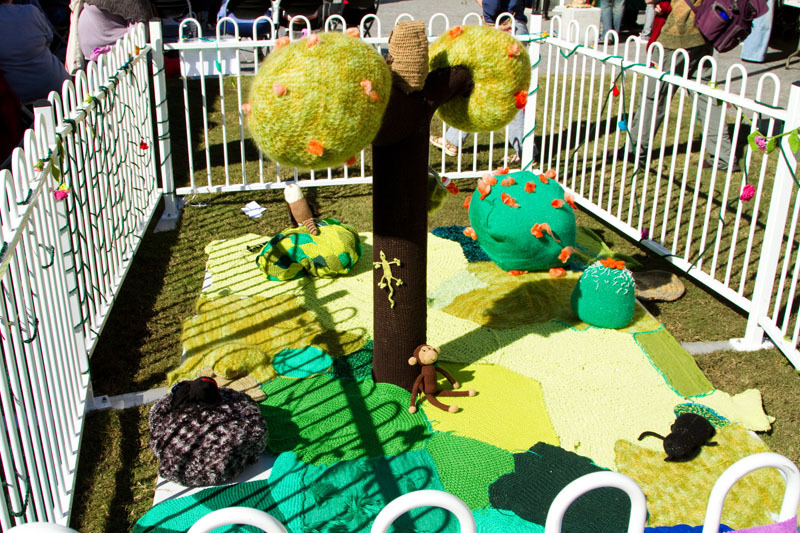 Well, we had a lovely knit in King George Square yesterday. 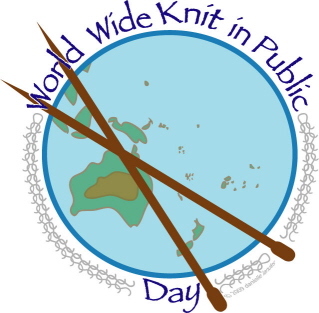 This was a part of the World Wide Knit In Public Day Good chats, nice coffee and absolutely perfect weather and of course, lots of knitting and even some hand spinning! 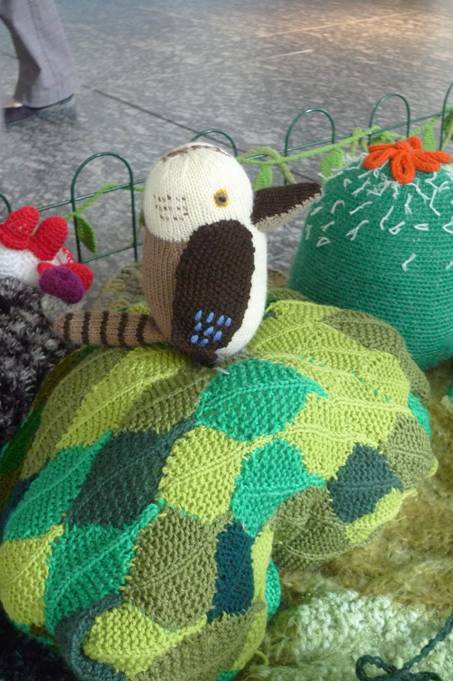 The next planned KIP will be next month so keep posted for more info if you are up for an afternoon of knitting with like minded people. (Although we will pick somewhere with a grassy patch!) Keep up the good knitting! 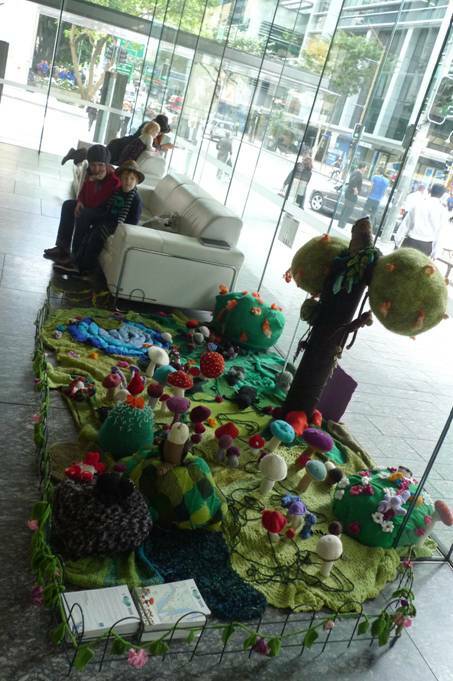 1pm King George Square – bring along your needles! Shell the Dabbler’s solution to the stolen glove – go Shell! 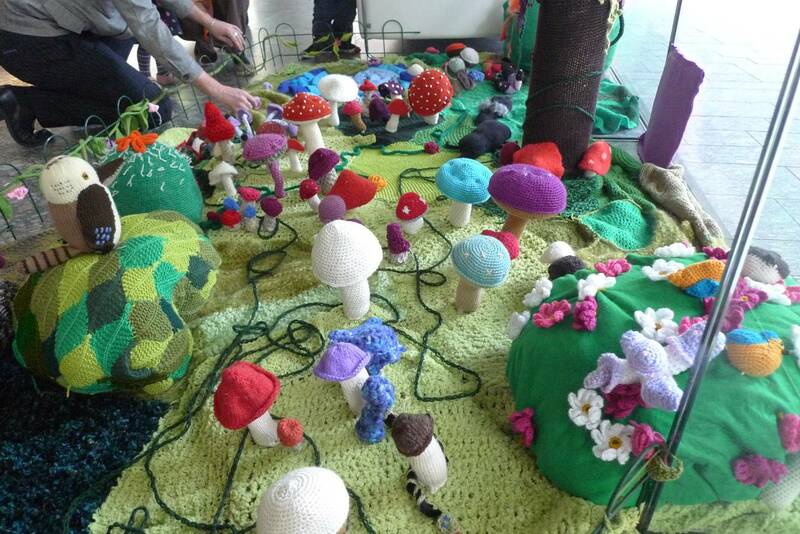 The knitted and crocheted garden is being reinstalled today along with the many mushrooms!! Have You Seen This Glove? 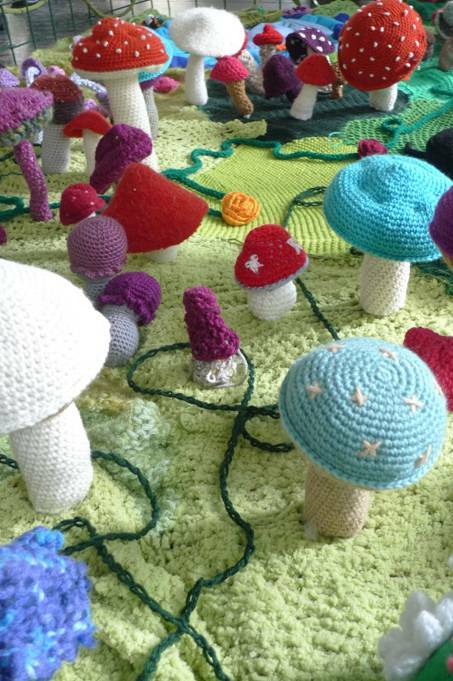 A huge thank you to all the amazing creative people who were involved – installation night went well and now we have a city wrapped in yarn! 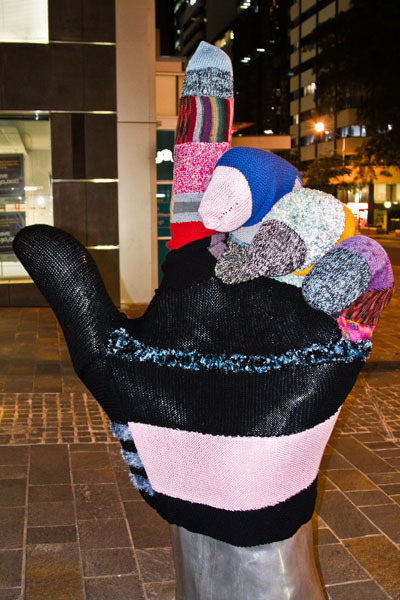 I Knit Brisbane is supported by Brisbane City Council through the Lord Mayor’s Creative City Initiative. 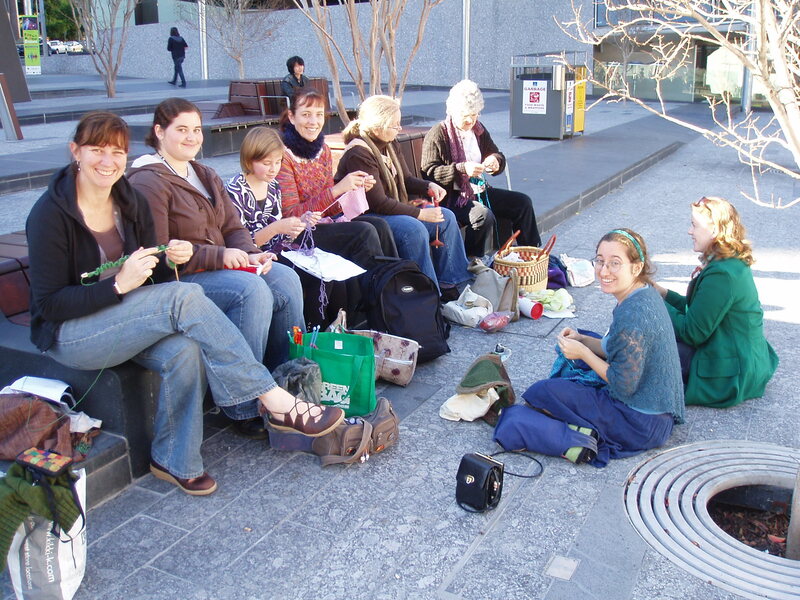 Well known charity knitting groups Knitting for Brisbane’s Needy and Yarn Friendship Group will be in attendance to help get persons started who want to learn or re-learn knit or crochet and give further information about their groups.